Thank you for showing interest in our project Paraiso de Infancia “LOS GUSANITOS“. The project was founded in the city of Granada (Nicaragua) on May 1 in 2012. The founders are Priska Buchmann Scherer and a group of some individualists. 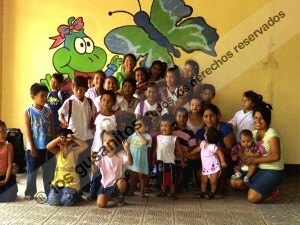 The project consists of two daycare centres: One being “LOS GUSANITOS“ Tamarindo I which was founded on May 1 in 2012 and the other being “LOS GUSANITOS“ Tamarindo II which was founded on May 1 in 2017. In both daycare centres we are devoted to the social support and the education of 100 children and teenagers. Since we want to enable our children a familial surrounding we can only accept 50 children per daycare centre. 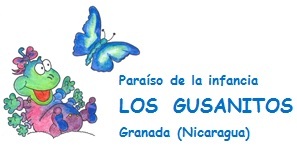 Paraiso de Infancia “LOS GUSANITOS“ was initiated to take care of girls and boys that are facing extreme difficulties regarding their social, financial and familial situation. By accommodating these children in our daycare centres and by allowing for high quality education we are shielding them from the many dangers they are facing in their social environment. In our little paradise they are able to do what they should be doing in the first place: Learn how to be children and how to enjoy their lives. We are especially taking care of children from single mothers or children that are coming from demolished families, since children are the most vulnerable and defensless creatures and because women in the Third World are lacking any possibilities. They are the ones who are paying the price for the social imbalances in their country. We have the dream to offer a save and stable place to our children where they can enjoy their childhood without stress or sorrows. We protect and accompany our children along their way and during their sanitary, mental, physical and social development. We support the individual needs of each kid to make sure they grow with self-esteem and are able to enjoy a healthier and more stable future. We love our children with all our heart because every child is special, every child has its own personality and every child has its own talents which we try to recognise and nurture. In this sense, we would like to welcome you to our web-site and invite you to get acquainted with our work.